look! 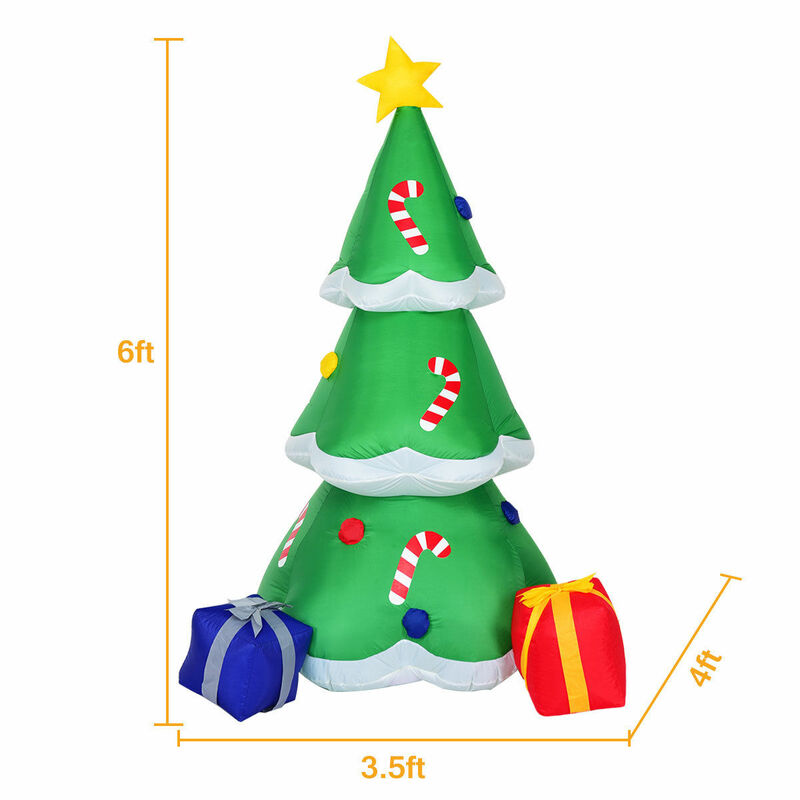 This is our 6 ft Inflatable Christmas tree with gift boxes. The inflatable decoration features inside LED lights to bright up your light. What's more, the waterproof Polyester Fabrics give more convenience when it rains. It's so funny and interesting, attract more eye-catching on your Christmas party add cheerful and holiday atmosphere. Do not hesitate to buy it now!